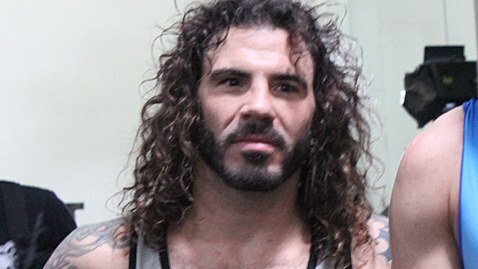 Clay Guida steps into the Octagon at UFC Fight Night 63 on Saturday opposed Robbie Peralta. The two will meet in one of the main card support bouts in Fairfax, Va., each trying to rebound from disappointment in his last fight. For Guida, however, he actually pulled up his roots and changed his training camp for this bout. But while much has been made of Guida leaving the Jackson-Winkeljohn camp, Guida says the reports of a break-up with his team are unfounded. “I don’t know where that came from. I never left Jackson’s and even when that post came out, I wasn’t even at Team Alpha Male when they said I left Jackson’s or that I was part of their team. So, whoever put that thing up, it’s false,” Guida said during an interview on Knockout Radio on MMAWeekly.com. It’s not that he’s hiding anything. Guida did up and leave Albuquerque in preparation for the fight with Peralta, but it wasn’t because he wasn’t happy at Jackson-Winkeljohn, “The Dude” just wanted to shake things up a bit, get some fresh takes on his training. And it certainly didn’t hurt that UFC Fight Night 63 main eventer Chad Mendes, a Team Alpha Male fighter that Guida has lost to in the past, was training for his fight at the same time. “Yes, I’m working out up in Sacramento with those guys. Yes, I’m working out in Glendale. Yes, I’m working out in South Bay, California. I’m just moving it around and trying some different things. But yeah, nothing is official that I ever left Jackson’s,” Guida continued. And why wouldn’t Guida want to shake things up a bit? At the level he competes, in a stacked 145-pound division, it’s always good to consider different approaches so that you don’t get to stagnant, too predictable. Peralta is a tough fighter with some power in his punches, and Guida doesn’t want to be caught by one of them. For a long time, he would enter the cage and just go all out with little thought to his approach, but now, he feels like the coaching he’s received at Jackson-Winkeljohn and elsewhere has him developing into the type of fighter he always knew he could be. “I just feel that I’m developing more skills now instead of just going out there, running around, and shooting for take downs. I’m learning different setups, learning different entries,” said Guida… not the he tries to overthink things either. He’s still that wild guy with even wilder hair that fans are always thrilled to watch fight.